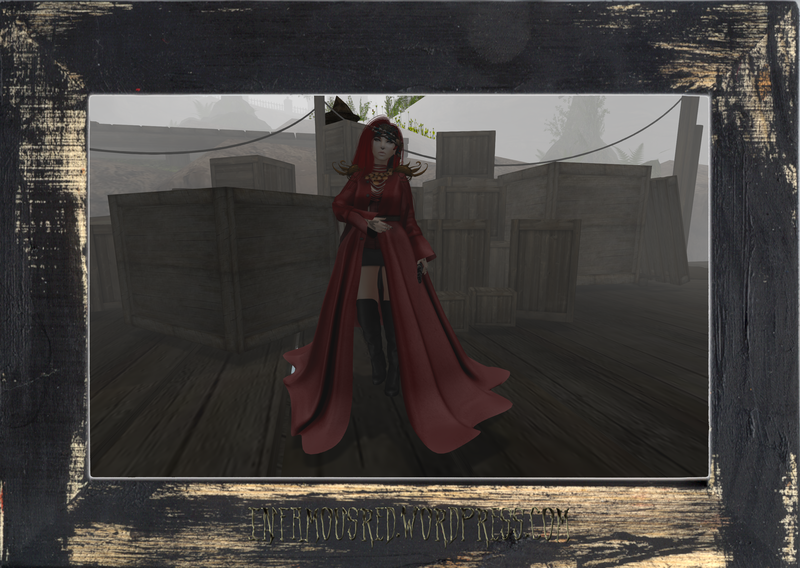 If you turn your attention to my headdress and necklace, they are new releases from the ever-brilliant and beautiful lady, Jaliah Jewell, owner of GSpot, to be featured at the next round (November) of We ❤ Roleplay! Essentially Jaliah has taken her proud, roman inspired vexilllum of bellerophon pieces and made them into elegant and stylish jewelry to be adorned by any lovely woman. So do prepare yourself and in the meantime, merry travels! 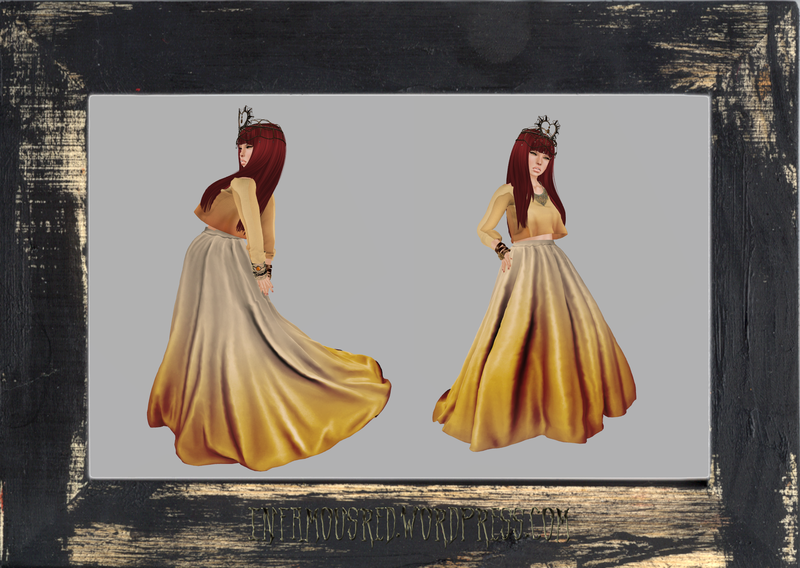 Headdress: GSpot – Maris Headdress – Gold (Ultra Rare Gacha) @ We ❤ RP! Round 7 – Soon! 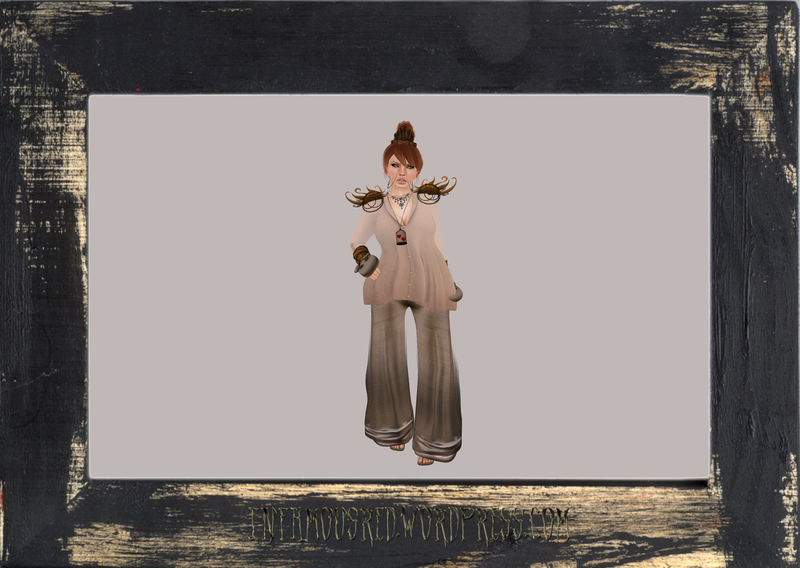 Necklace: GSpot – Maris Necklace – Gold Red (Common Gacha) @ We ❤ RP! Round 7 – Soon! So, everything is zooming yet lethargic at the same time. In this photoshoot, I decided to play around with high-resolution shadow settings and what not. What I received was a rather dark ambiance that set the mood for what becomes of those that turn against the Red Witch. In fashion news, I was honored with a sneak peek of . :GSpot:.’s exclusive release Raven-Nell for the up and coming ‘enchantment’ event next month. The collar and crown will be available in Black, Creme, and Gold, and after that will not be resold in these colours, so stay tuned for more news! So, I went on an adventure to The Chapter Four, a monthly shopping event that opens every 4th day of the month and stays open for two weeks. There are four rooms with four different sale themes from various designers: a Gacha Room, Buy 1 for 2 Room, Half Price Room, and Under 100Ls Room. There are skins, clothing, accessories, photo props, and even home decor available, so definitely plan a trip and visit back monthly! 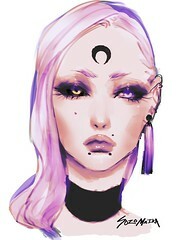 Also, The Body Modification Expo (presented by Depraved Nation) has opened to the public and while I have yet to take a gander just yet (gawds forbid I do, but just you all wait! ), I am thoroughly excited to see all the exclusive items. Keep in mind that the content of this Expo will be accessories galore rather than clothing, and all items will be 50% off the normal selling price as well.